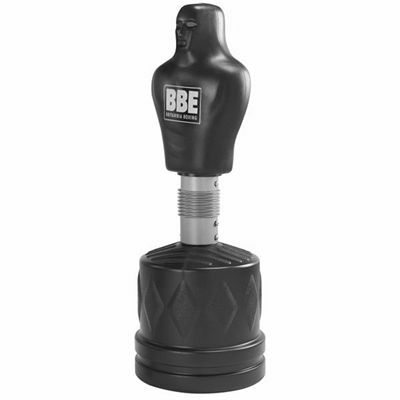 The BBE punchman is body-shaped and perfect for those who can’t hang a punchbag. It is excellent for boxers, martial arts enthusiasts or anyone looking to increase their aerobic and anaerobic fitness, stamina, co-ordination and reflexes. The BBE punchman is produced of a dense EVA foam-padded torso for vigorous exercises, and is adjustable to 3 heights for Uppercuts, Crosses and Jabs. The easy-fill stable base requires water or sand (not included). for submitting product review about BBE Punchman.